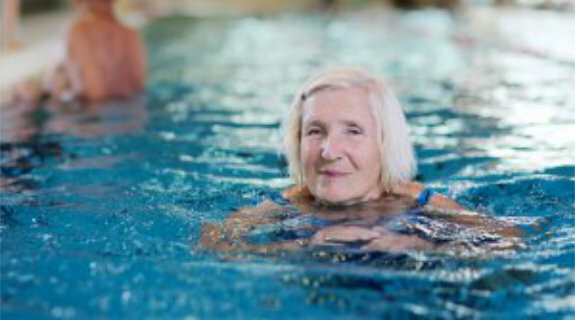 Adult swimming lessons – easy or challenging? Where do I start the topic of adult swimming lessons….? There are two types of adults learners I have generally come across, ones who are beginners, generally resulting from a drowning or upsetting experience with water. Secondly, adults who can swim but want to improve technique for either general fitness or training for events such as triathlons. Either way, often adults are nervous about taking swimming lessons, usually embarrassment. Firstly, there is nothing to be embarrassed about. Researching swimming lessons is a hurdle in itself, attending the lessons is another – all great steps towards conquering those feelings and channelling them towards a more positive outcome. Core Aquatics provide adult only swimming lesson times to allow adults to learn in a peaceful environment without children around and large numbers in the pool. The vast majority of beginner adult swimmers have had a negative experience with swimming or swimming lessons. The most common circumstance is drowning when they were a child. I always admire an adult swimmer who comes to learn to swim with a history of traumatic experience(s) with swimming lessons. To face a fear is not easy, Core Aquatics recognise this and therefore provide lessons tailored to the swimmer and build learning to swim skills gradually. Everything a swimmer does is an achievement and a step closer to becoming a confident and safe swimmer. Along the way there are always challenges, not everyone is good at everything, and certain aspects take longer to pick up than others. Swimming is like riding a bike – easy once you know how and achievable with practice! My key piece of advice for beginners is: don’t give up! Some swimmers come to us who can already swim but would like to either train for a competition (usually triathlons) or want to improve their stroke technique. Making small and simple adjustments to strokes can make the world of difference! There are some challenges that all swimmers face and others are more adult specific!